The wonderful Willoughby Family from Adelaide, SA, stepped up to promote type 1 diabetes and the ENDIA Study for Diabetes Week this year. Filmed in the Women’s and Children’s Hostpial play area, the family were naturals in front of the camera. All four children aged 6 and under were so amazing. Little participant, baby Poppy, happily babbled and smiled whilst her twin brothers Hugo and Jack stood there very patiently. But hats off to Charlie, who has type 1 diabetes, because he was experiencing a high blood sugar level at the time with a roller coaster of emotions, but still pulled it off like a pro. Thank you, Willoughbys for your amazing advocacy for type 1 diabetes and support for the ENDIA Study. 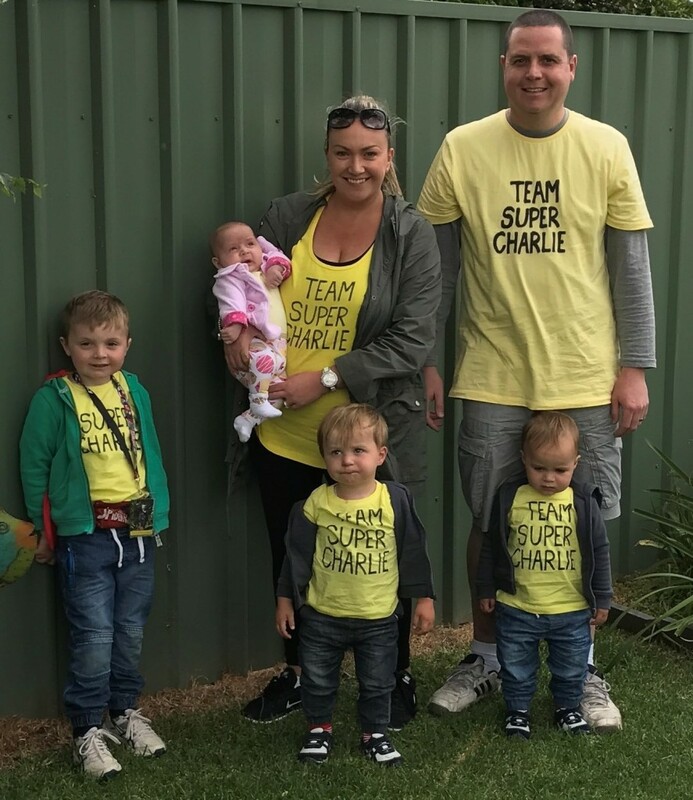 The Willoughby Family ready to go on the JDRF One Walk in 2016, pictured from left to right: Charlie, ENDIA participant, Poppy, Mum, Bec, twins, Jack and Hugo, and Dad, Adam.